Stop doing nonsense, go to work. 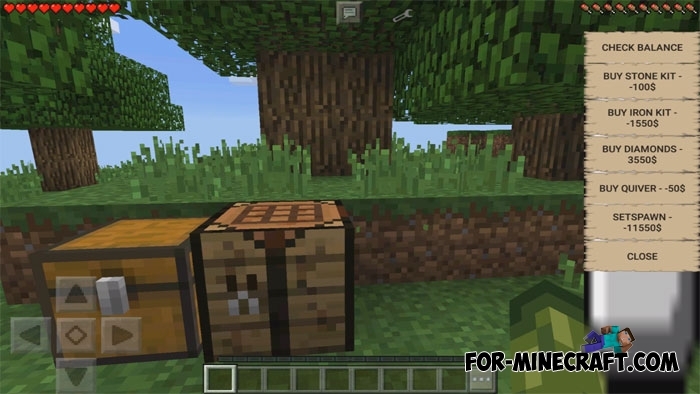 The Minecraft PE Jobs mod adds to MCPE only two types of jobs: a woodcutter and a miner. Yes, these professions are very complex and spend a lot of effort, but for each extracted block you will receive a certain amount of money. Agree, it is much more pleasant to play when there is an opportunity to earn virtual money and spend it on useful goods. Use the buttons on the right to select a particular job. As written above, a player can choose between a woodcutter and a miner. These jobs are not much different and you need a tool in both places. Activate the job and go to the forest (if you're a woodcutter). Start cutting trees and chopping until you get bored. Then check your balance using the new GUI. Each felled tree gives you a small amount of $ which can be spent on jewelry and other items in the store. Lags can be in Minecraft PE 1.2 and do not display the GUI, in which case download the latest version of BlockLauncher. 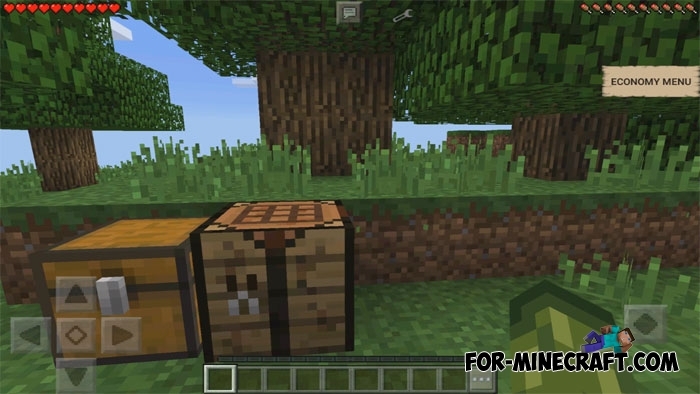 How to install the Minecraft PE Jobs mod? Click the wrench and activate the mod (.js).